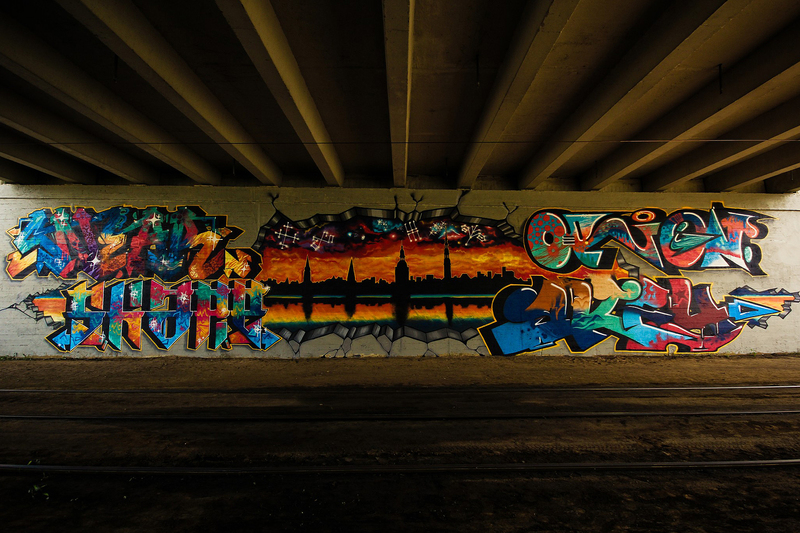 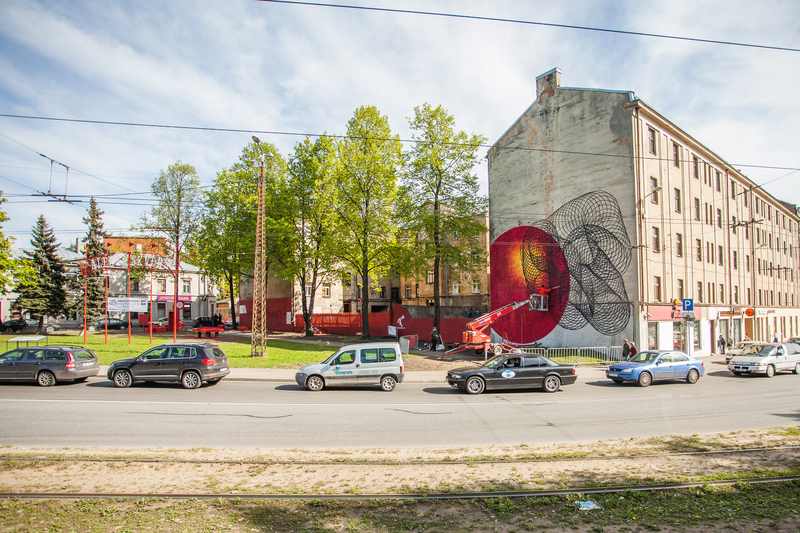 Main aim of Blank Canvas was to launch a discussion about street art – has it started to mature and become a part of the art market, if not in Latvia, then in rest of the Europe rest of the world? 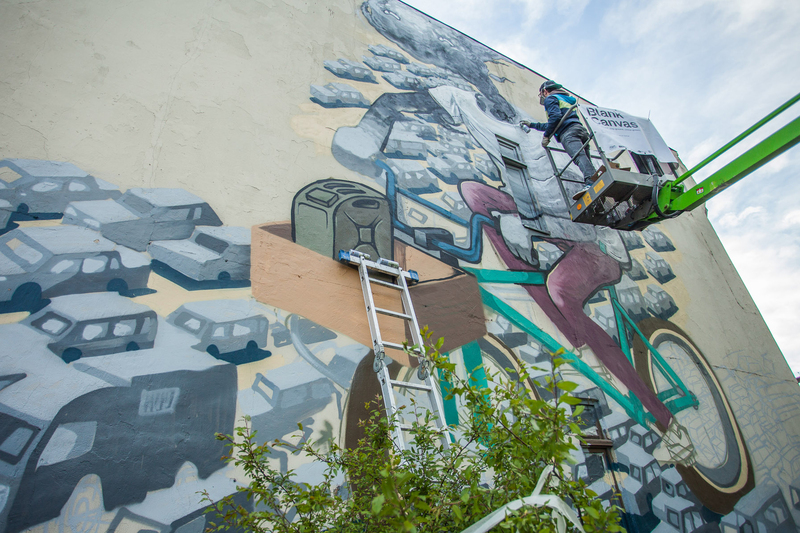 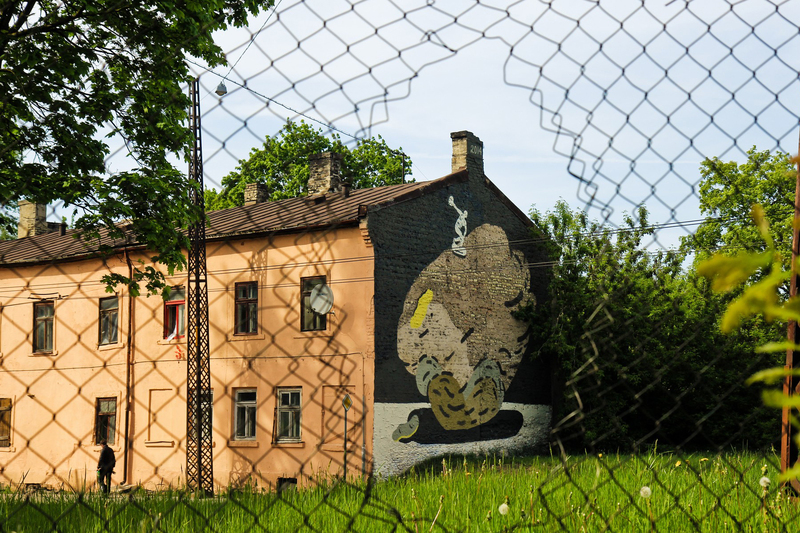 During the festival latvian artists Kiwie and Dainis Rudens created the largest street art mural in Baltics (and possibly in Northern Europe) — with three characters Saule, Pērkons, Daugava which covers 800 m2 and was widely appraised by public. 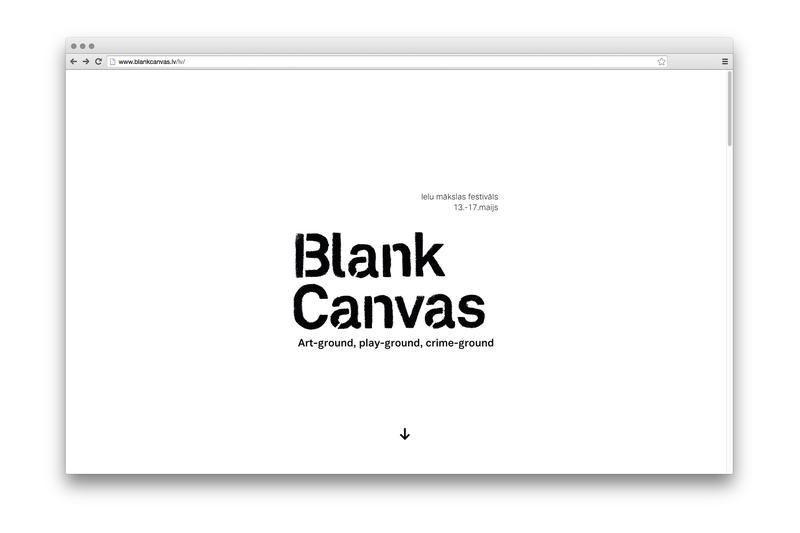 We wanted it to look blank and unfinished, if we call the festival Blank Canvas – it should reflect it visually – by being mono-chrome, basic and simple, having almost no design. 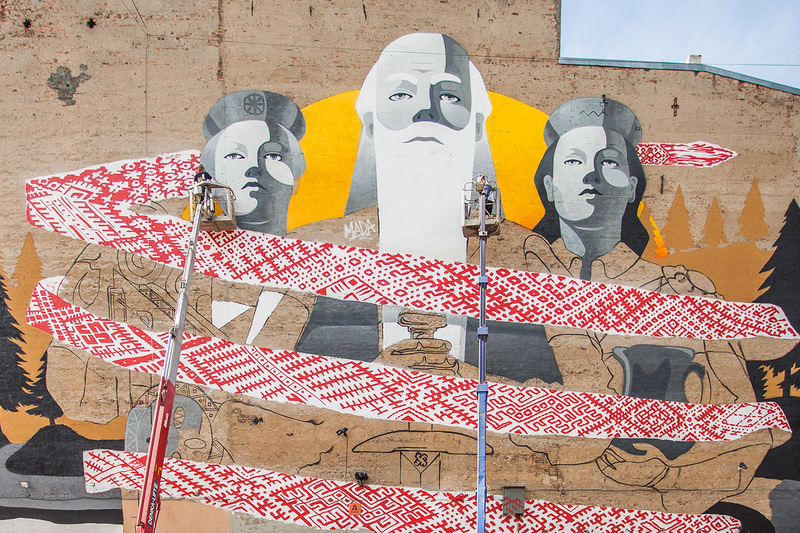 Riga can be considered as a blank canvas — we thought it would be cool to let the street artists and taggers use our posters as blank canvas – tag them, draw on them, use stencils or spray paint all over them. 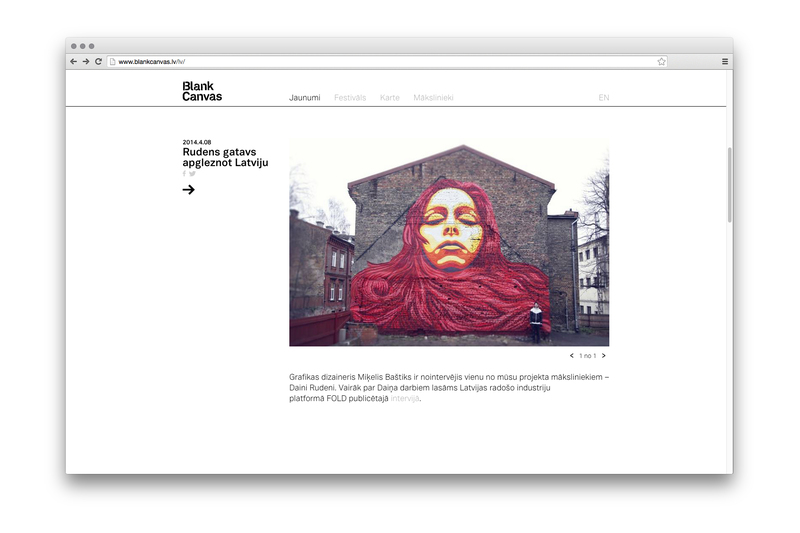 We used the blank canvas concept also on the website – go check it out at www.blankcanvas.lv. 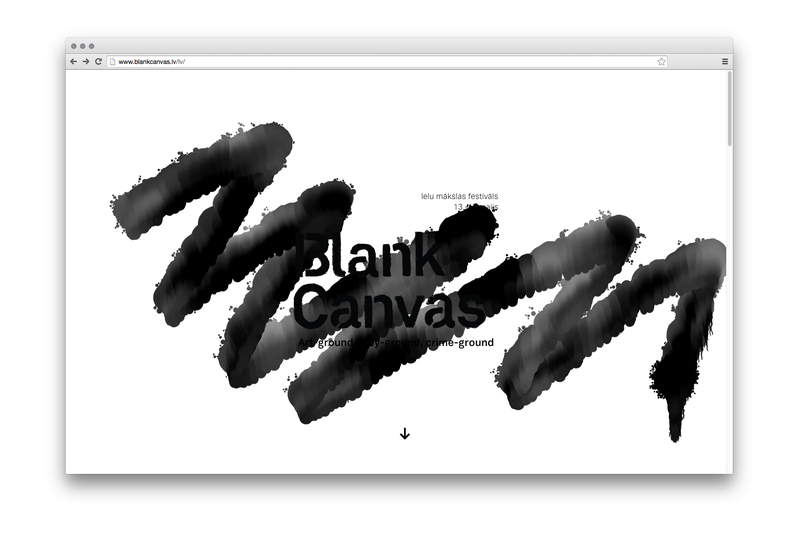 Its fun first page becomes an interactive poster where you can splatter some paint. 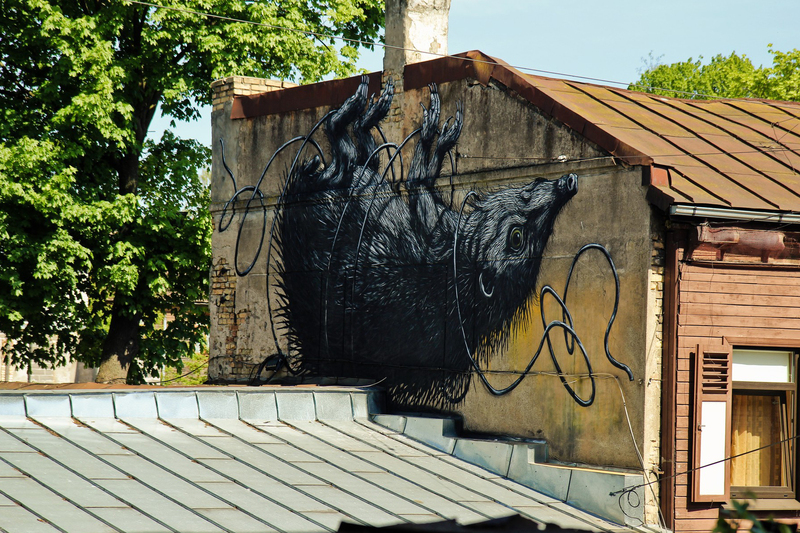 There is an interactive map which will map out all the spots of the festival as well as map street art pieces around Riga – in that way it will stay relevant over time, not only during 2014, year when Riga is European Capital of Culture.